The Ontario Institute for Cancer Research (OICR) announced today that it is teaming up with Queen’s University and Thermo Fisher Scientific to help bring more targeted diagnosis and treatment to breast cancer patients. 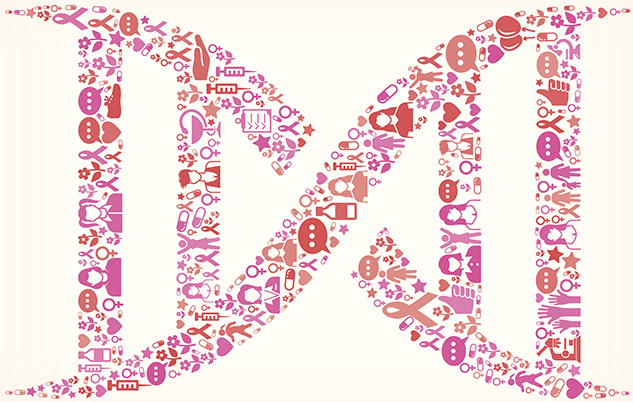 The new collaboration aims to identify mutations and copy number changes found in breast cancer samples and establish whether these abnormalities correlate with on-market drugs, available clinical trials, or published studies. OICR-affiliated researchers, along with collaborators at Queen’s University and Sunnybrook Health Sciences Centre will process the same breast cancer samples to establish whether the results are reproducible at different sites. Moreover, the study will characterize more than 400 additional retrospective breast cancer samples supporting ongoing clinical research efforts of Dr. Bartlett’s team at OICR, which strives to improve the clinical management of the disease. The study will take advantage of Thermo Fisher’s Oncomine Comprehensive Assay, a targeted, next-generation sequencing (NGS) research tool that analyzes 143 genes relevant to cancer. The data generated can be further studied with the Oncomine Knowledgebase Reporter—a curated set of published evidence that matches driver genetic variants with relevant information, such as on-market drugs, available clinical trials, or published studies. The findings of the OICR study will be used to assess the technology and could inform subsequent clinical trials. The OICR team has also engaged six laboratories in Ontario, including at Hamilton Health Sciences, London Health Sciences Centre, Ottawa General Hospital, Sunnybrook Health Sciences Centre, Sudbury Health Science North, and University Health Network to look at the robustness and reproducibility of the assay across different cancer samples. This collaboration could extend the findings of this study beyond breast cancer to other common cancers.